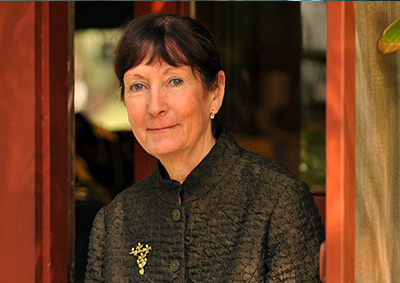 Following a stellar thirty years as Executive Director of Rancho Los Alamitos Historic Ranch and Gardens, the Board of Directors has announced that Pamela Seager will assume a new position as Executive Director Emeritus/Site Historian effective April 1, 2018. Assuming the position of Executive Director will be Pamela Young Lee, the Rancho’s current Associate Director. Ms. Seager is well known in Long Beach and beyond as the founding Executive Director of Rancho Los Alamitos, a job she began in1985 at the request of Preston Hotchkis, the grandson of the property owner and rancher, Fred Bixby. Ms. Seager was engaged by the Bixby family to help formalize a public/private partnership between the Rancho Los Alamitos Foundation and the City of Long Beach to restore and manage the site as a museum and educational institution. Ms. Seager joined Rancho Los Alamitos after eleven years with the California Historical Society. She has also served on the Governor’s Heritage Task Force, the California Preservation Society, the National Trust for Historic Preservation and many other local, state and national preservation groups. 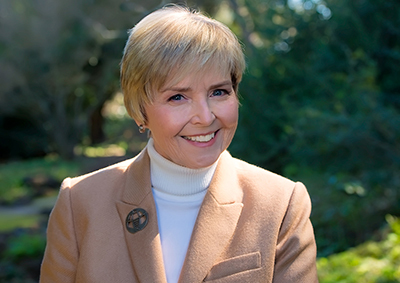 Among her new responsibilities, Ms. Seager will assume a portfolio of projects including the completion of the seismic improvements to the adobe-core Ranch House, the restoration of the Old Garden and the Foreman’s Cottage and enjoying one of her passions – as garden curator of the Rancho’s twelve historic gardens. As the new Executive Director, Pamela Young Lee will oversee day-to-day operations of the Rancho, including oversight of the strategic planning process now underway, and the implementation of the plan once it is complete. Ms. Lee worked as site curator for Rancho Los Alamitos from 1986-1995 and again from 2005 to the present. She has previously served as curator for the Mission Inn in Riverside, as Director of Creative Resources for Walt Disney Imagineering and chief curator for the California Historical Society. Rancho Los Alamitos is owned by the City of Long Beach and managed by the Rancho Los Alamitos Foundation as a public/private cooperative venture consistent with the gifting of the site to the City 50 years ago.